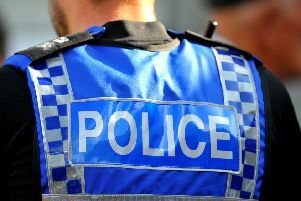 Shoppers are being urged to be vigilant after more than 30 incidents where victims have been distracted by someone asking for directions in supermarket car parks across the county. The majority of the thefts have happened in supermarket car parks in Northampton, Kettering, Daventry, Towcester, Wellingborough and Corby. In the past five months, 32 incidents have been reported to police. In all of these incidents, the victim – often a woman on her own – has been approached by someone who has asked for directions. The victim is usually approached while they are loading their shopping into their car or are about to drive off. As the victim is distracted – on some occasions the offender has produced a map which they encourage the victim to look at – a second person has removed items from their bag or purse, from the boot or passenger seat of the car. In most cases, it appears the victim has been spotted by offenders in the store or at the cashpoint, who has then seen them enter their PIN. Detective Sergeant Johnny Campbell says the trend is concerning and is urging shoppers to be alert to any suspicious behaviour. He said: “These thieves are using distraction techniques where some form of help is requested, in a bid to grab your attention and obtain a small time advantage while you are focused on helping them. “They generally work in pairs and while one is distracting you, the other attempts to steal your belongings without being spotted. “Requests for help and directions are genuine in the majority of cases but, unfortunately, we’ve seen a rise in the number of these distraction type thefts over recent months, not just in Northamptonshire but in neighbouring counties as well. “What is particularly concerning is that the offenders appear to have identified their victim in the store or at the cash point, have watched them enter their PIN and then followed them to their vehicle. “The offenders then attempt to steal the bank card using this distraction technique and, if successful, use the card to withdraw money or make fraudulent purchases. Of the 32 crimes reported since May, there were 10 in Northampton, eight in Kettering, five in Towcester, four in Wellingborough, three in Corby and two in Daventry. The majority happened in supermarket car parks while a few took place in service stations or at ATMs. DS Campbell is advising people to be on their guard and to make sure they protect their PIN and said: “I would urge everyone, in particular anyone shopping on their own, to be alert to this type of distraction theft. “Shield your PIN when you use your cards and be aware of the people around you. “Most people who ask for help will be genuine but stay vigilant and don’t be afraid to politely decline if you have any concerns. - If you choose to respond to requests for help, be vigilant and aware of your surroundings. Lock your car and keep valuables with you; If something doesn’t feel right, trust your instincts. Politely say you cannot help and drive away.